Rain forests are centres of great activity that depend on quite small reserves of nutrients. Plants continuously absorbing sunlight transform water and carbon dioxide into polymers, mainly cellulose, and release oxygen. On the rain forest floor, a myriad of animals and insect munch their way through fallen leaves and branches, breaking the polymers into water and carbon dioxide. 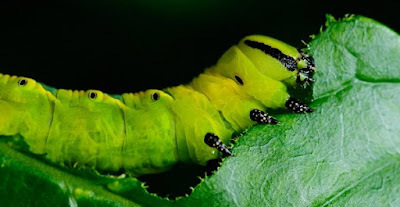 Their waste releases the very small nutrient reserves back into the thin soil layer where they are once again available to the plant community. A productive rain forest ecosystem harboring a great variety of living organisms is a stark contrast to a desert landscape in which far fewer living things eek out a sparse existence. Human activity might be viewed as damaging and harmful to the environment, and though this is sometime a reasonable observation, it does not have to be. Consumers supporting producers and discarding obsolete items provide a level of economic activity to engage people and allow their participation in economic and social life. That discarded items accumulate and are not reprocessed is a problem that can be solved. Steel and aluminium can be reprocessed more or less indefinitely. Demand for new steel and aluminium eventually declines in economies as the accumulated volume being recycled meets more and more of demand. Collecting municipal waste, then sorting, recycling and reprocessing at large central plants has been a fairly universal approach for some time. New technology may allow for some waste material to be reprocessed at or near the point of origin, reducing the cost and complexity of large-scale collection and sorting. Many waste items that are compounds of only carbon, hydrogen and oxygen can be completely decomposed into a gaseous fuel and may be substituted for natural gas in space heaters and hot water systems. There is no need for waste materials to accumulate and degrade the environment. Creative solutions can be found. Many creative solution exist but simply aren't well known, hence the word "found" rather than "developed". One creative solution that does not exist but may be developed is a business model and technology for virtually unlimited energy at little or no cost. One possibility is a process to transform materials from one nuclear structure to another that is commercially viable and that generates energy as a byproduct. The energy byproduct can be distributed for a nominal charge.Transforming nuclear waste into safe, naturally occurring and valuable isotopes is a possible additional benefit. Japan intends to establish a "hydrogen pipeline" to replace its existing imports of energy from Australia and elsewhere. To speed up the development of a "hydrogen pipeline" for Japan, Australia may be able to adapt existing energy infrastructure for the purpose. In the above reaction half of the hydrogen combines with oxygen from the carbon dioxide to form water. The other half of the hydrogen combines with the carbon from the carbon dioxide to form methane. This is known as the "Sabatier reaction". It is used commercially by Audi to create "e-gas" for its Compressed Natural Gas vehicles. Natural gas is essentially methane with smaller amounts of other gases such as carbon monoxide and ethane. Methane made from hydrogen can be transported through natural gas pipelines and shipped as LNG - liquefied natural gas - from Australia to Japan using existing LNG terminals and LNG tankers. In the above reaction oxygen from the water combines with carbon from the methane to form carbon dioxide. All the hydrogen that was part of both the methane and water is separated. This is known as "Steam Methane Reforming". It is widely used in industry to manufacture hydrogen from natural gas. The carbon dioxide produced in the above reaction may be liquefied in Japan and returned to Australia on the empty LNG ships that delivered the methane. This allows the carbon dioxide to be re-used indefinitely in Australia to convert hydrogen to methane for shipping to Japan using existing natural gas pipelines, LNG terminals and tankers. If an industry needs to separate CO2 from different sources the first place to look is existing suppliers and projects that use their technology. Xebec Adsorption Inc. in Canada sells equipment to remove CO2 from biogas: "Xebec to supply Sapio Group with biogas upgrading plants". Audi operates plants to upgrade CO2 to methane and to upgrade CO2 mixed with biogas to methane using hydrogen made from renewable energy: "New method for producing the synthetic fuel Audi e gas". The ExxonMobil Longford Gas Conditioning Plant removes 1 million tonnes of CO2 a year from raw natural gas to make it suitable for injection into natural gas pipelines: "EPA grants works approval to Esso gas plant". applicable technologies and methodologies in the near term." Australian governments are spending millions to find out how to separate CO2 from different sources. 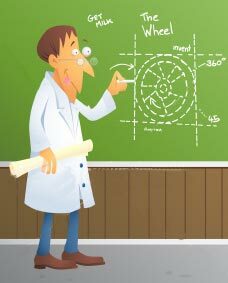 This process is commonly referred to as "reinventing the wheel". Why this is so remains an unexplained mystery. "...our capture research has also made progress on several fronts. CO2CRC won a competitive $1.2 million grant from the NSW government’s Coal Innovation Fund to develop cost-effective carbon capture technology at the Vales Point power station in NSW. The plant has been relocated from the closed Hazelwood power station in Victoria to Vales Point and is currently being modified to use both solvent and membrane technologies. The funding enables us to combine the advantages of both solvent absorption and membrane gas separation methods of capturing CO2, while overcoming the drawbacks of both technologies. Capture projects were also significantly enhanced in October when we installed our proprietary capture skid at the Otway National Research Facility. The capture plant has been designed for use in offshore natural gas applications, with varying percentages of CO2 content. It has been made to be robust, small and efficient, and will also applicable to different capture requirements in the future. These developments are the result of our deep commitment to cutting-edge research. In 2016-17 we extended our research base through the opening of several new Australian CCS Research Laboratories Network (CCSNet) facilities. In September 2016, we opened new capture, CCS modelling, and storage laboratories at The University of Melbourne. The $7.56 million facility was opened just 12 days after the Minister for Infrastructure and Transport, the Hon Darren Chester MP, opened CCSNet’s $2.3 million analytical laboratory at Federation University. And, in November, the Minister for Education and Training, Senator the Hon Simon Birmingham, opened our $5.04 million storage research facilities at the Australian National University. As CCS research gains momentum, we also remain focussed on ensuring government and key decision makers understand the value that CCS has to Australian emissions reduction and national energy security. Our detailed and costed retrofit studies, submissions to government and presentations to senior decision makers were well received by governments. With the commitment from staff, the collaboration of our research partners and the support of our members and the community, CO2CRC has reached a pivotal point where the investment in research programs will yield industry applicable technologies and methodologies in the near term. Thank you for sharing our vision for CCS. The March 30, 2018 report by the Australian Packaging Covenant Organisation describes the fall in the price of waste plastic following Chinese import restrictions for packaging. There is a relatively small drop in the price for Plastic - HDPE ($575/tonne during 2015-2017 to $500/tonne in 2018), a larger drop in price for Plastic - PET ($575/tonne during 2015-2017 to $375/tonne in 2018) and a substantial fall in price for Plastic - mixed ($325/tonne during 2015-2017 to $75/tonne in 2018). One avenue that raises the value of waste plastic is to convert it to methane and use it with natural gas. A number of projects are underway to convert renewable energy to hydrogen and inject that hydrogen into natural gas distribution pipelines. The wholesale price of energy delivered via that method is about $10/GJ. The retail price is about $35/GJ. One tonne of methane can be made from about 875 kilograms of plastic waste and 125 kilograms of hydrogen. The energy content of this methane is about 55 gigajoules. At $10/GJ its value is $550. The 125 kilograms of hydrogen made with renewable energy has an energy content of about 15 gigajoules. It contributes about $150 to the $550 value of the tonne of methane. Put another way, 875 kilograms of plastic waste adds $400 to the value of the hydrogen that is to be injected into natural gas pipelines. This lifts the value of plastic waste to about $455/tonne: more than the $325/tonne price for Plastic - mixed during 2015-2017 and substantially more than the $75/tonne in 2018. 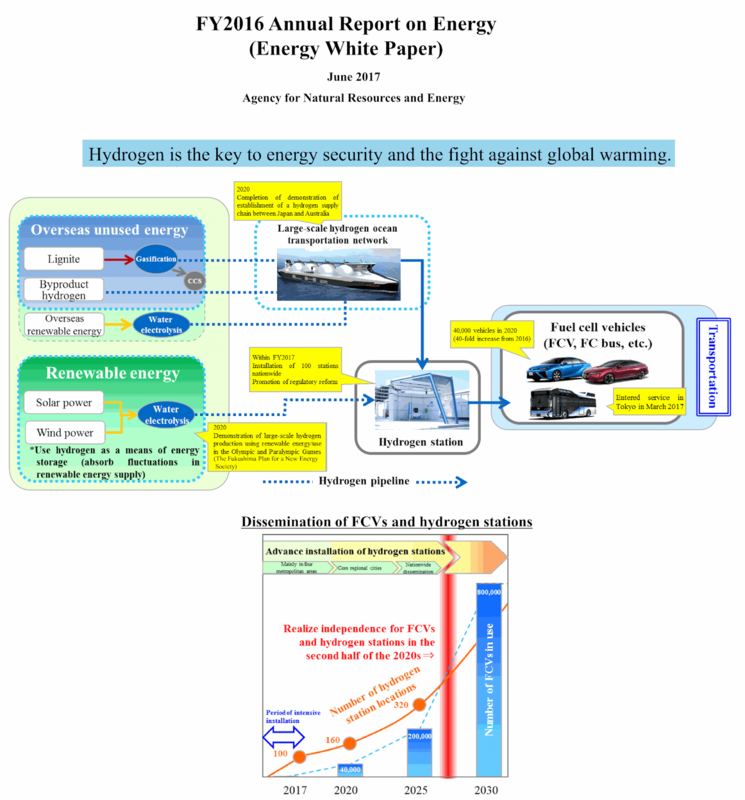 Using hydrogen to produce of methane is the subject of a number of research papers and patents. 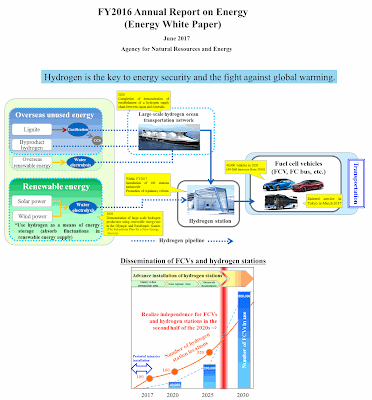 The availability of hydrogen that is intended to be injected into natural gas pipelines means that this established body of knowledge is increasingly likely to find commercially viable applications. 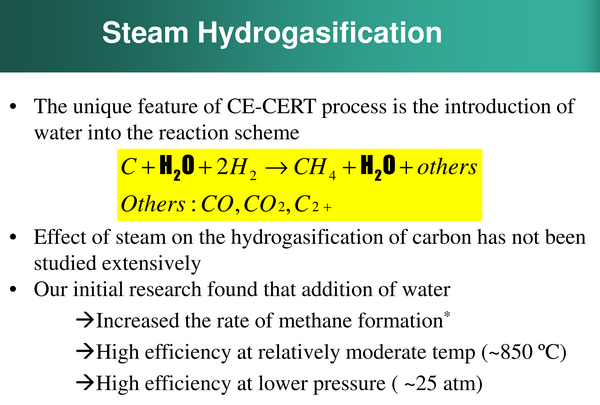 The steam hydrogasification reaction, which researchers at the University of California, Riverside’s Center for Environmental Research and Technology engineers began developing in 2005, has been found to be 12% more efficient, with 18% lower capital costs, compared to other mainstream gasification technologies, September 15, 2011.
.@UCRiverside research is well advanced but low U.S. #natgas prices will hold back its commercial adoption in the U.S. https://t.co/nmmVw8uuqg "A goal is to produce synthetic natural gas from a mix of biomass, food waste, and biosolids as a renewable replacement for natural gas"
A different process is helpful if, for instance, you want to upgrade biogas - a mixture of carbon dioxide and methane - to be suitable for injection into a natural gas pipeline. One method is to separate the carbon dioxide from the biogas. Another method available if you have a quantity of hydrogen that is to be injected into the same natural gas pipeline is to convert the carbon dioxide that it is in the biogas into methane with the hydrogen. This avoids both the overhead and cost of separating the carbon dioxide from the biogas. It also dodges the limitation that the quantity of hydrogen that can be safely mixed with natural gas should be no more than 10 percent: the hydrogen gets converted into methane.